Weekly Photo Challenge: Achievement | Oh, the Places We See . . .
For more entries into the WordPress Weekly Photo Challenge: Achievement, click here. This entry was posted in Weekly Photo Challenge and tagged achievement, baby announcement, postaday, pumpkin, pumpkin patch, Weekly Photo Challenge. Bookmark the permalink. Congratulations. I remember when my son and DIL announced their pregnancy, they did a photo with her in front of an open oven that had a bun in it with a whiteboard date that said “Due xxxxx”. I thought it was really cute. Love that bun-in-the-oven idea!!! Will have to pass that along to others who are in the business of announcing the arrival of a little one. A fun idea! Congrats to you, too! 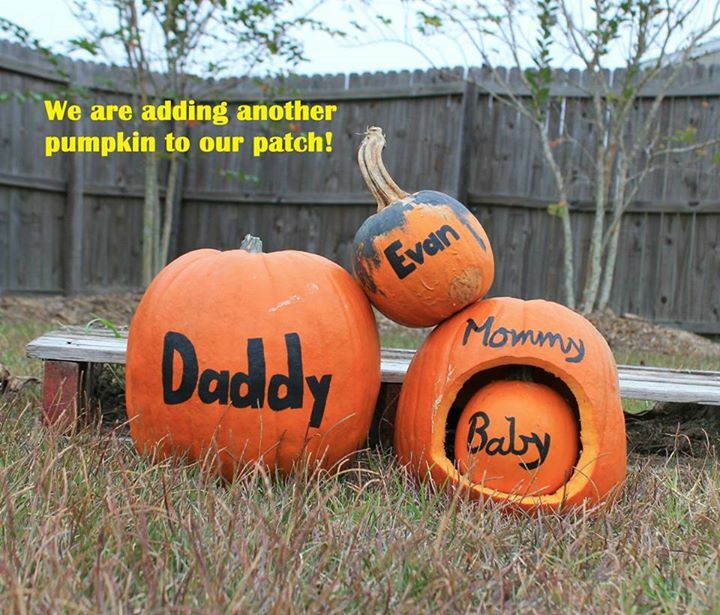 I love the many ways couples are announcing the arrival (and the gender at times) of their new addition to the family. Thanks for commenting!